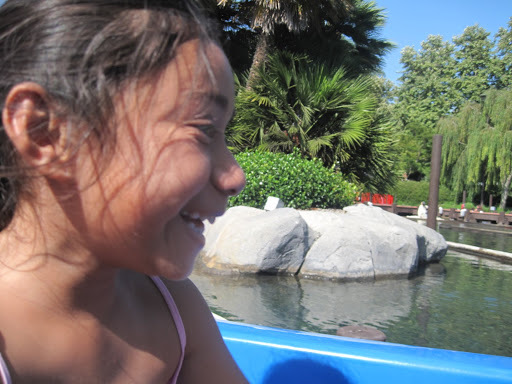 This was our second time going to Legoland. The kids wanted to check out the new Sealife Aquarium. The displays looked amazingly life-like from the rocks to the plants. Unfortunately I couldn’t take better pictures because there were signs posted that said no photography allowed in some areas. Here are just a couple I was able to take as well as a few while we were in the park. I can’t remember why Nikki was upset in this picture. But before long I had her laughing again.